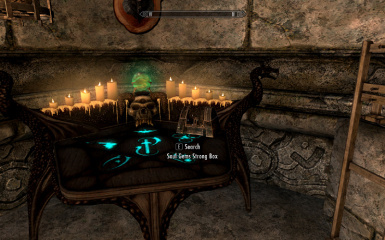 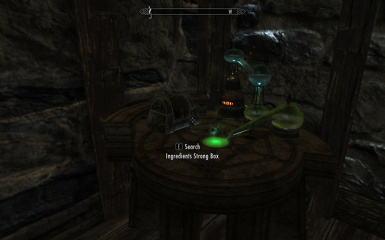 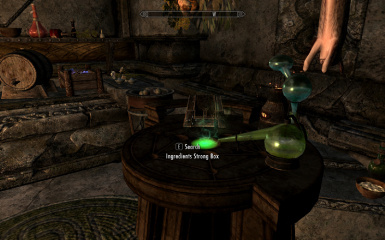 Adds strong boxes on alchemy labs and arcane enchanters in Vlindrel Hall, Hjerim, Proudspire Manor and Honeyside. 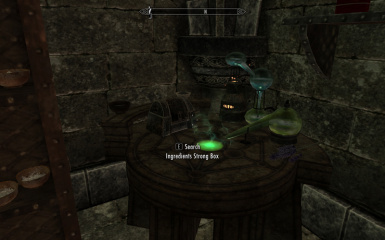 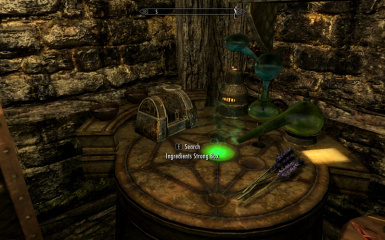 I find it very useful to have containers close to my crafting tables, for example there's an alchemist satchel over the alchemy lab in Breezehome. 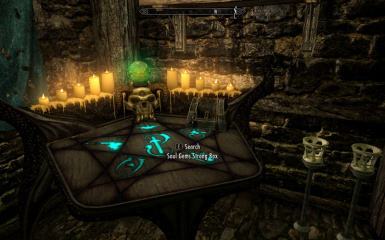 Unfortunately, the rest of player's houses, lack this kind of functionality despite being much more expensive than the one in Whiterun. 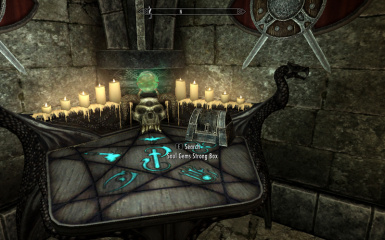 This mod fixes this by adding strong boxes over the rest of crafting tables located on the other player houses. 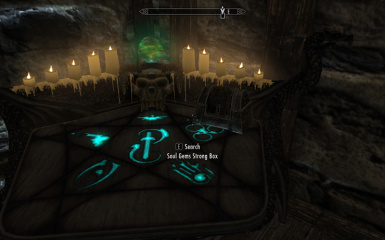 The strong boxes are linked to their respective home decoration activator.